"They show years of being out in the weather...old, worn and Aged for you"
N Scale Detail Advertising signs have seen better days ! They come looking Old, Faded and well weathered for you. 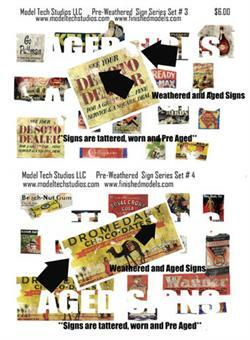 Perfect for building's, billboards, rooftop signs, fencing signs and more. 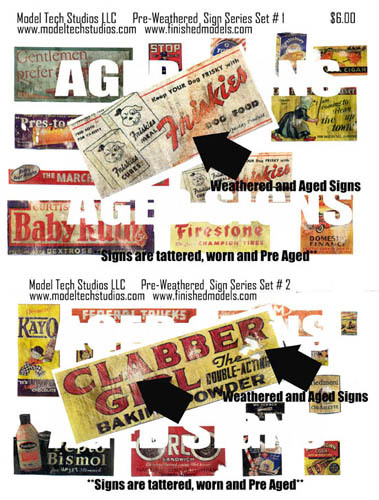 ALOT of CHARACTER in this set of Weathered Signs ! Set 1 and 2 Many Aged signs in this set !